Free Diet Meal Plans - Do You Want To Lose Weight In A Week? Check out this free diet meal plans and lose weight with the Mediterranean diet. If you have fallen into a trap of constantly looking for the fastest way to lose weight (just like me) I'd say don't eat anything at all - that is probably the fastest way to lose weight. 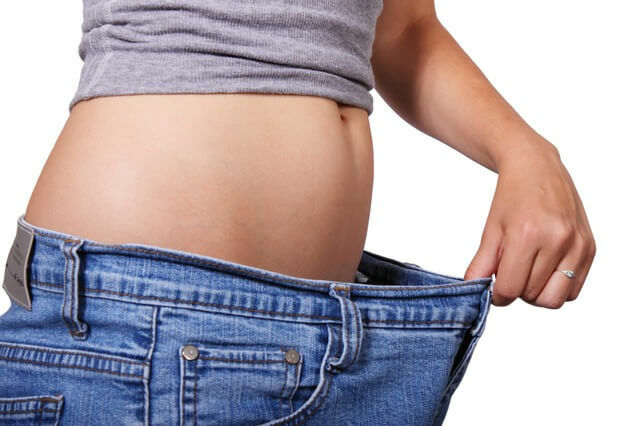 However, it is also the fastest way to gain back any weight you lose and add some extra pounds of fat after you begin eating again (and your health may be seriously damaged). Is that what you want? I don't think so. There are some easy ways to lose weight, though. If you are looking for an easy to follow, healthy diet meal plan to drop those excess pounds, you've come to the right place. Should you count your calorie intake to lose weight? Definitely not. From now on, you will eat to live and not live to eat and I don't care if you are obese or just want to burn stomach fat. I made a weekly diet meal plan (complete with recipes) that helped me lose weight after my second pregnancy without being hungry all the time. In fact, my energy level has increased significantly, I feel great and I'm looking forward to fitting into my old jeans. I am a great fan of the Zone diet. My weekly diet meal plan is a combination of Mediterranean diet foods, Croatian cuisine and the hormonal balance learned from the Zone diet. I don't know about you, but I don't like thinking that I am on a diet. Whether we want to admit it or not, being on a diet only brings negative energy and that's the last we need. Being on a diet divides our lives into two different periods: when we are on a diet - a negative time; and when we are not - a positive one. We all want the diet period to end as soon as possible so we can get back to not being on a diet (let's face it - nobody wants to be on a diet forever). We tend to eat everything we can get our hands on to get rid of that accumulated negative energy and that is the worst (I have been there so many times!) This vicious circle is a never ending story, until you STOP it. So, think of this free diet meal plans as your own set of healthy eating guidelines. It is a healthy diet for athletes, teenagers and kids as well as for adults. One more thing: negative thinking will definitely not help you get rid of excess fat and full of confidence you need get into a bikini. So, fill yourself with positive energy and just do it! It doesn't matter if you want to drop 5 or 50 pounds and I don't care how many times you've already tried. This time you will succeed. As long as you follow my plan, I'd be willing bet on it. Kitchen cleaning - all the foods that could be a "disturbance" (chips that you just have to eat, or if you are like me, great amounts of chocolate, tons of ice cream, etc.) should be taken somewhere else (it would be best if this is not in your house). The only thing you can leave is just one dark chocolate (60% + of cocoa). Go through all the recipes from my free diet meal plans and get all you need for the first three days. On Day 3 buy the rest for the whole week (with exception of fresh fish and meat). Weigh yourself in the morning on Day 1 on an empty stomach (it is also useful to measure the waist above navel and the widest part of your hips in order to monitor progress). During these seven days try to be physically active as much as you can. No, you do not have to join the gym right away! In fact, I advise you not to. Instead do what I do. Try walking at least 3 times a week for half an hour. That is not so hard, really. You really don't have to drive everywhere you go, try walking instead. Use the stares instead of the elevator and you will be fine. Take omega-3 fatty acids (pharmaceutical grade fish oil). That is highly recommended. It is very good for your health and very helpful for weight loss. My free diet meal plans are divided into seven days. Each day you can replace a meal under the same number with the meal under the same number from another day (if you don't like the lunch in Day 2, simply replace it with lunch from, for example, Day 4). The only important thing is that you do not replace lunch with dinner or breakfast, etc. As you will notice while reading through the meal plan, lunch includes a glass (about 1.5 dl) of red wine. If you don't drink alcohol, or you don't want to drink on a certain day, you can have 2 small pieces of dark chocolate instead. Other drinks throughout the day should be water or unsweetened tea. If you cannot bear a day without a coffee (I also drink it in the morning), limit your intake to one cup a day. Every day before going to bed (that's right!) eat your last meal. This meal should consist of low fat (up to 1.5% fat) yogurt and almonds. Yogurt is a food you'll see a lot in this free diet meal plans because it is very good for digestion and weight loss. The best is natural, plain yogurt (not fruit flavored yogurt, since these are almost always heavily sweetened). However, if you do not like yogurt, you can replace it with a glass of low fat buttermilk, regular milk or unsweetened cocoa. If, on the other hand, you don't like almonds, just replace them with other nuts like cashews, peanuts or if you don't like nuts at all, olives. Some foods (fish and other meats) you'll see in my free diet meal plans are cooked on a grill. An electric grill is incredibly handy device which makes it quick and easy to prepare healthy, tasty meals - I definitely recommend it. If you don't have one, you should consider picking one up. Electric grill is my first choice, but if you don't have one, you can use a grill pan instead. Finely, when you've finished Day 7 of this meal plan, just come back to Day 1 and repeat the process (I promise I will soon make a lot more meal plans for weight loss) and yes, weigh yourself again in the morning and let me know the results! One more thing - maybe it will seem to you like there is too much food to eat during one day. It isn't. You should be eating to lose weight, BUT you should be eating properly. This free diet meal plans will show you the way and all I expect from you is just a little of your willpower. We will do it together. Step by step, day by day and the week will go by. Then another week; and another, just like it always does. Only this time, time is on your side. Aren't you thrilled? I must say I am. Let's quit blabbing. Day 1 is ahead of us! Subscribe to Mediterranean Diet Newsletter and get a FREE E-BOOK: Printable Version of Day 1 - Day 7 of Weekly Diet Meal Plan! Have A Great Tip About Losing Weight? Do you have your own weekly diet meal plan? Share your story! CLICK HERE and BUILD YOUR OWN PAGE! that you'd like to share with other visitors!